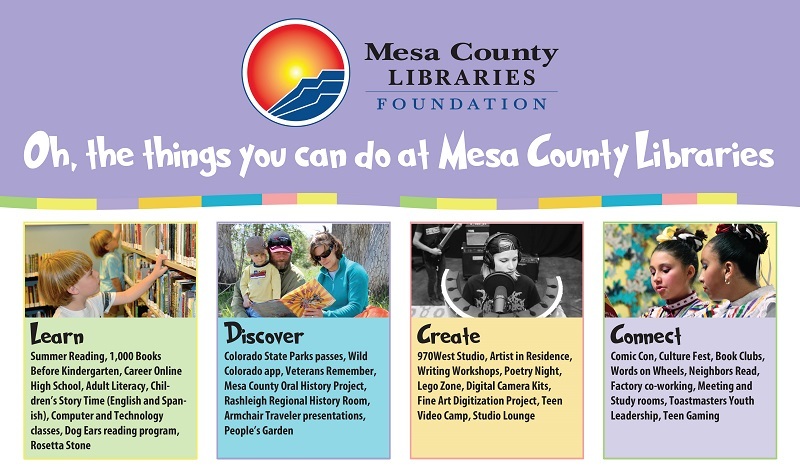 Oh, the things you can do thanks to Mesa County Libraries Foundation funds! Established in 1994, the Mesa County Libraries Foundation is an independent organization developed to help the library serve Mesa County residents. Mesa County Libraries have a long tradition of excellent library service at its eight locations. Public funding alone will not allow the library to reach its full potential. The Mesa County Libraries Foundation is grateful for the continued support of its donors. Donations of any amount of unrestricted funds to Mesa County Libraries Foundation are highly valued; these funds are allocated by the Foundation board to library programs or capital improvements with the greatest need at any given time. Donors have the option to designate their gifts to a particular program or capital improvement of interest to them. Through its fundraising, the Mesa County Libraries Foundation supports, sustains, and enhances Mesa County Libraries’ efforts to enrich lives and build community. 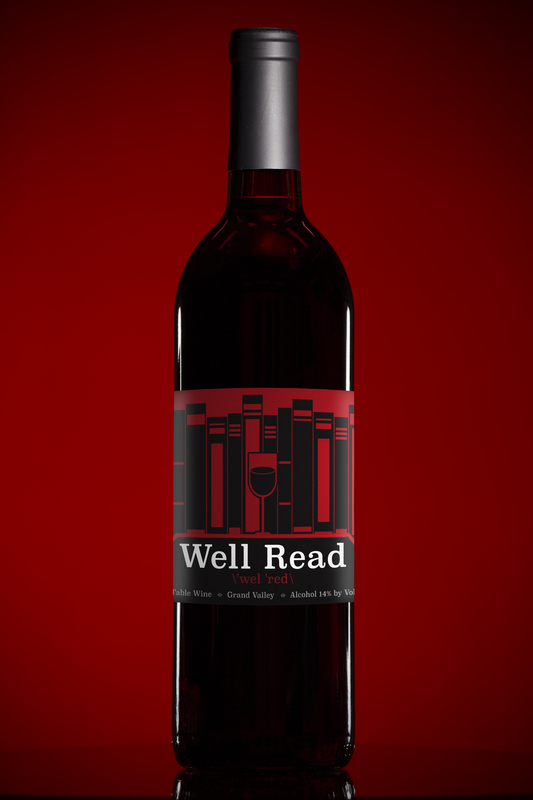 On May 17, 2018, Mesa County Libraries Foundation launched Well Read, a specially branded library wine produced by local winery Grande River Vineyards. A portion of the sale of each bottle of this easy-drinking red wine will benefit the Foundation, in turn supporting Mesa County Libraries. Well Read may be purchased at Grande River Vineyards, 787 N. Elberta Ave., Palisade, Colorado or at Fisher’s Liquor Barn, 2438 Patterson Rd, Grand Junction, Colorado. Spoke + Blossom chose Well Read for the “Book + Wine” feature in their Summer 2018 edition. On June 30, 2018, Grande River Vineyards hosted a Ralph Dinosaur and the Fabulous Volcanos concert to benefit Mesa County Libraries Foundation as part of the winery’s “Hear it Through the Grapevine” concert series. The Foundation is an IRS 501(c)(3) organization, and contributions are tax deductible. Gifts of cash, stock, bonds, and bequests are welcome. For more information about the Foundation or donating, please call Development Director Karen Kllanxhja at (970) 683-2438. For individuals, businesses, or funders who are looking for more specific information about the Mesa County Libraries Foundation and its status with Colorado state, please go to the Secretary of State’s website: www.sos.state.co.us. Once on the site, go to the Business and Licensing area, scroll down, and click on the Charity & Fundraiser Search link. A box will appear, type in “Mesa County Libraries Foundation” and click on the Search toggle. This will lead you to the state’s information that supports the official standing of the Foundation.